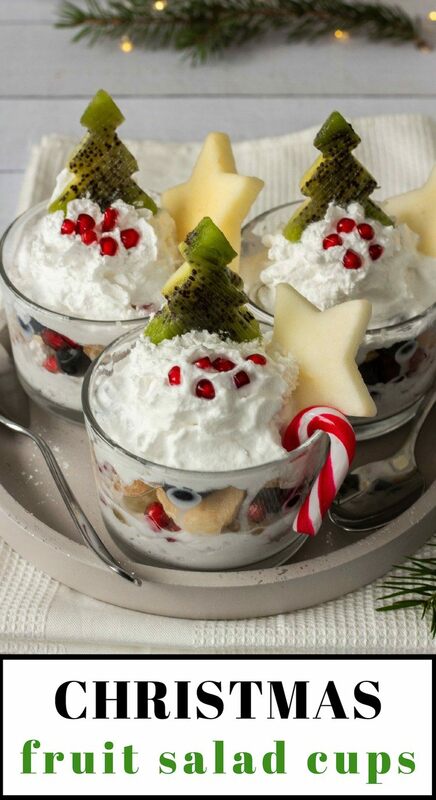 These vegan Christmas Fruit Salad Cups will surely impress your guests and family members! 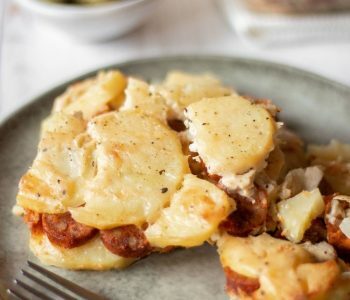 They are cute, oh-so heavenly and take only minutes to make! I love creating scenes and “objects” from food. 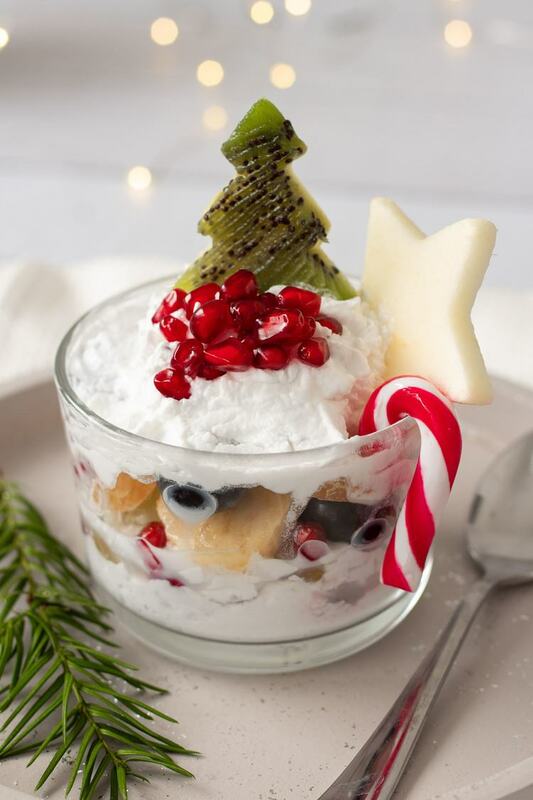 One thing that I have always really wanted to do is a combination of a Christmas dessert and a festive “scene”. 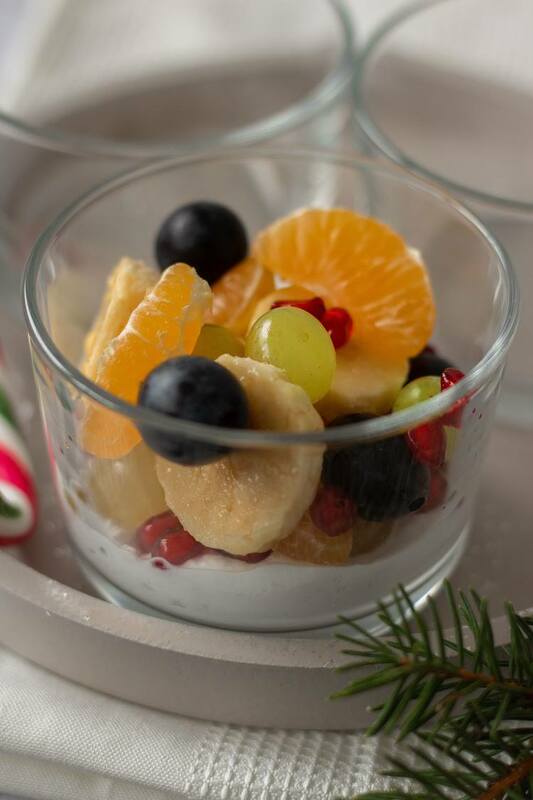 The result was this cute, fruit salad cup. They couldn’t be easier to make. 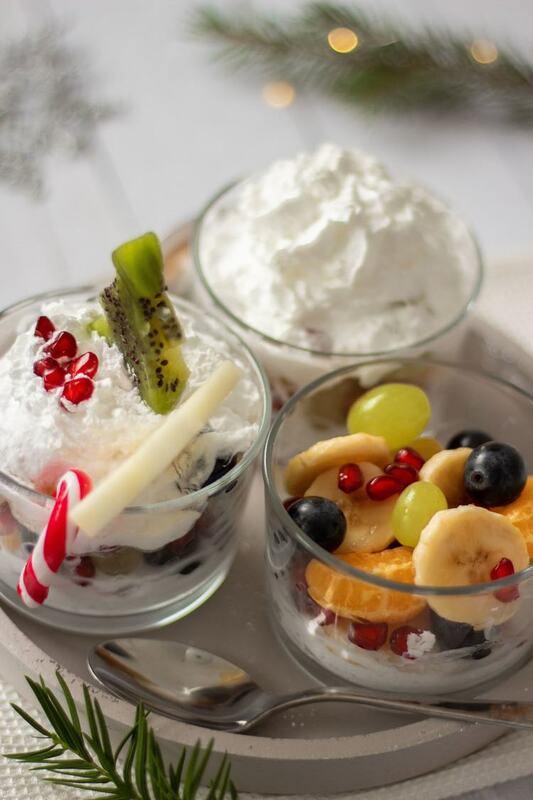 You need some cups, vegan coconut (or regular) whipped creme, Winter fruits, cookie cutters and mini candy canes (optional). That’s it. 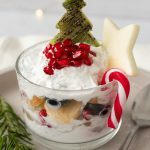 (BTW, this treat is also the PERFECT Christmas breakfast. 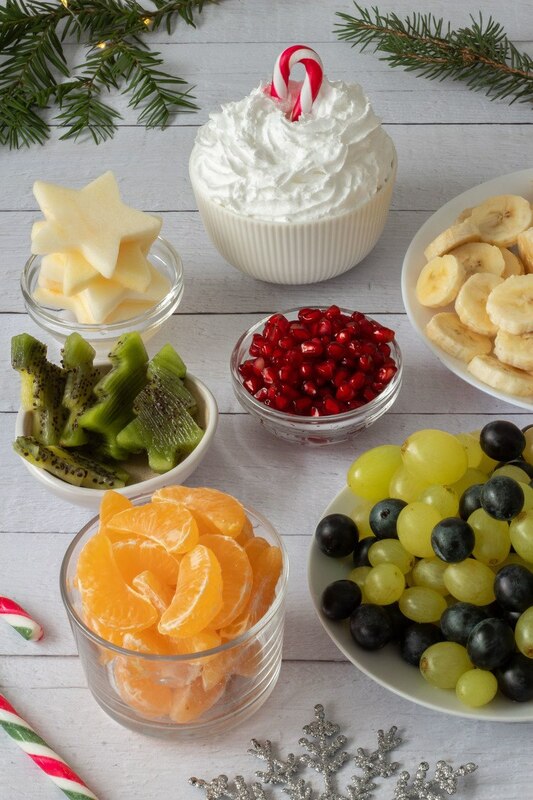 If you have enough fruit and whipped creme, you could prepare the dessert for 50 people in less than an hour. And you don’t even have to turn your oven on. Now, that’s what I call a stress-free holiday! 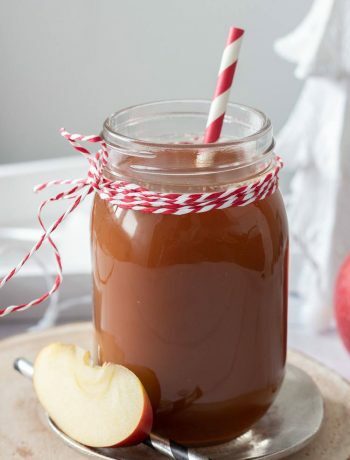 When you have combined all of your Winter fruits, add the lemon juice. 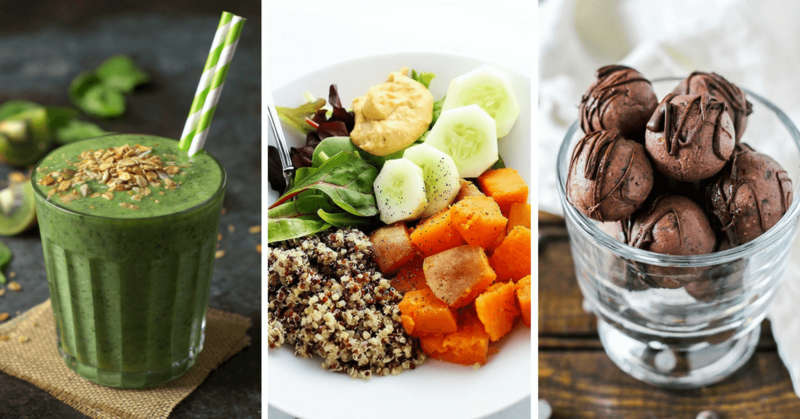 If you don’t serve these desserts immediately after making them (that means 20-30 minutes), you should use a stabilizer in your whipped creme, otherwise the creme will separate. It will be just as tasty, but not as pretty. To make the kiwi tree, I cut a thick slice from the middle of a kiwi and used a tree shaped cookie cutter. The same thing applies to the apple star. Easy! If you don’t have mini candy canes on hand, you can just leave it out. 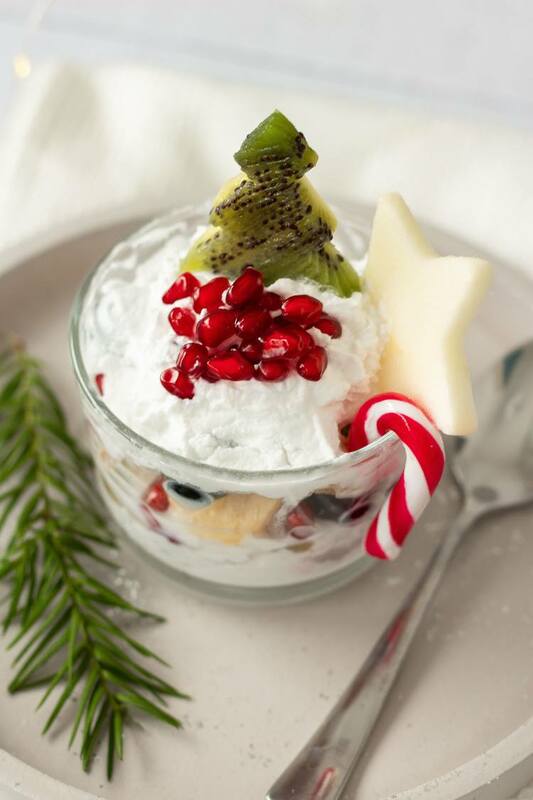 For maximum taste experience, tell your guests to combine the whipped creme with the fruits completely before eating. AH-MA-ZING. Wishing You and Your Family a Very Merry Christmas and Happy Holidays! 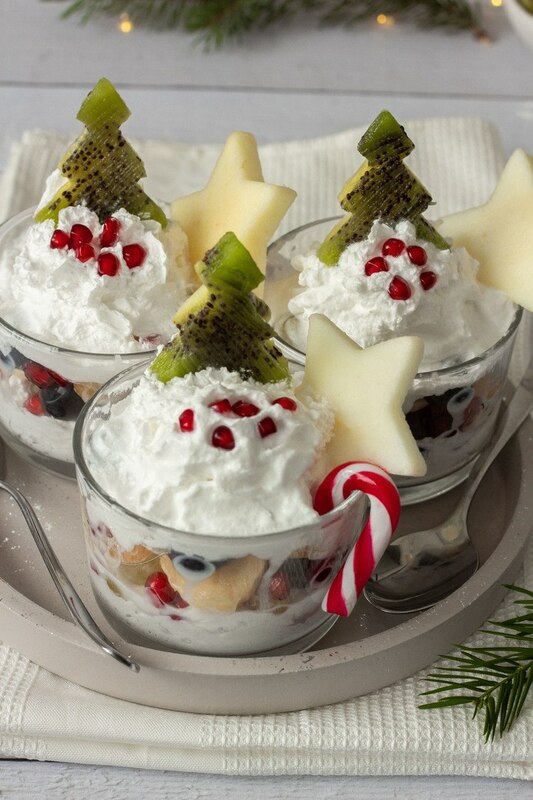 These vegan Christmas Fruit Salad Cups will surely impress your guests and family members! 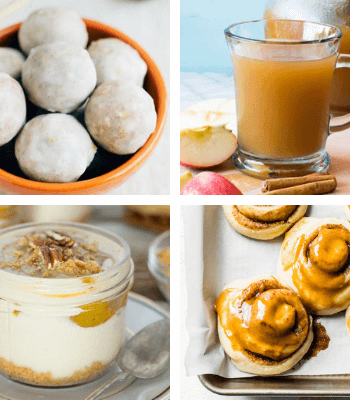 They are cute, take only minutes to make and are oh-so heavenly! Layer 3-4 tsp coconut whipped creme in the bottom of a small dessert cup. 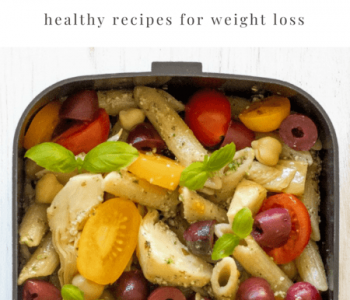 Mix all the fruits (except for the kiwi and apple) and put a 1-2 tbsp on top of the creme. Top with more whipped creme. Cut out a pine tree shape from a thick slice of kiwi and place it on the very top. Cut out a star shape from a slice of apple and place it next to the kiwi tree. Finally, place a few pomegranate seeds in front of the tree. 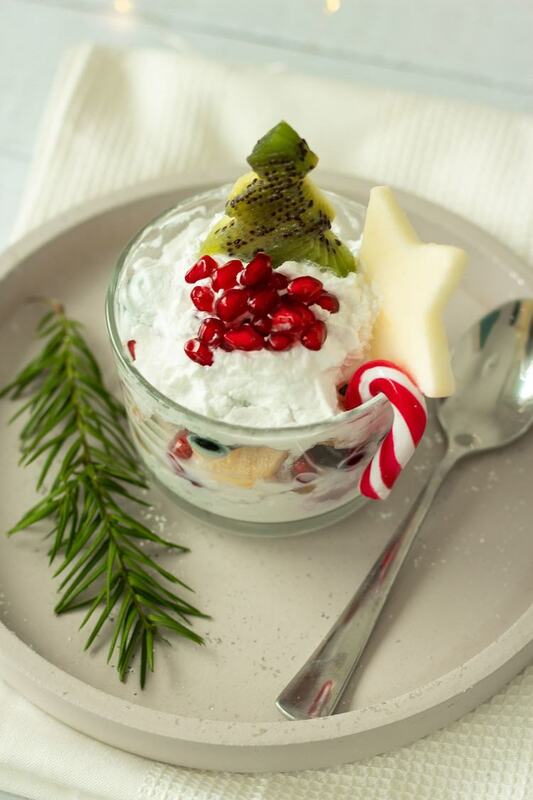 Decorate with a mini candy cane and serve immediately. 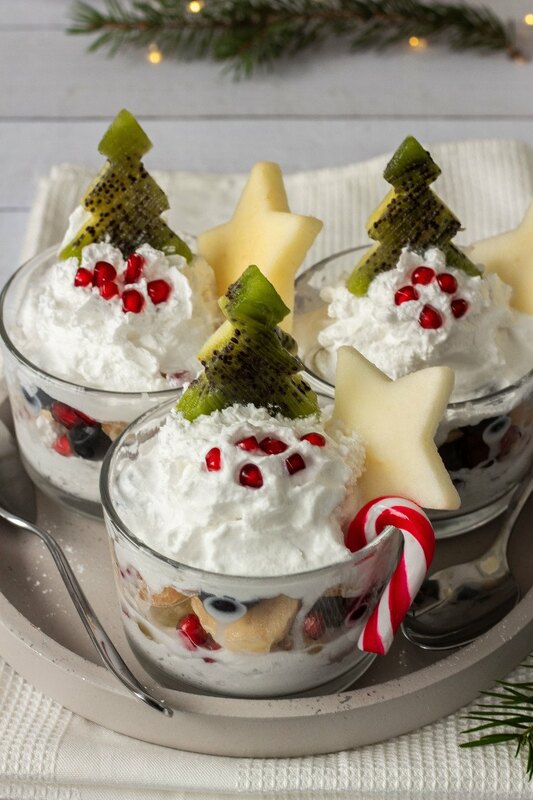 Did you make these Christmas Fruit Salad Cups? Let me know in the comments!